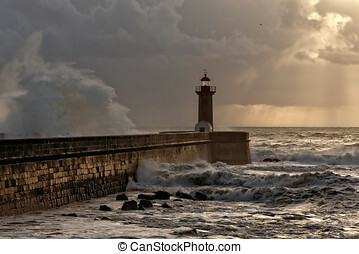 Stormy sunset. 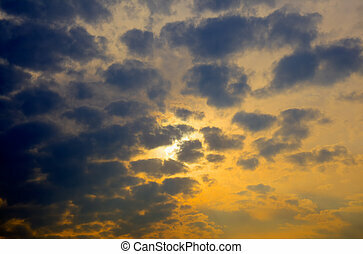 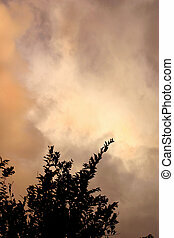 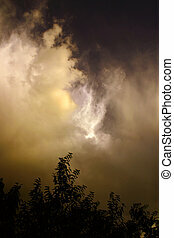 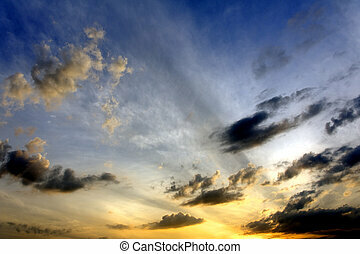 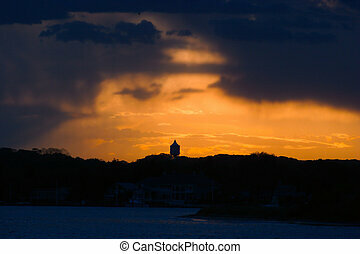 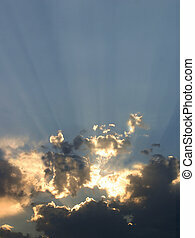 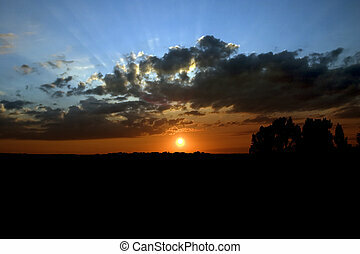 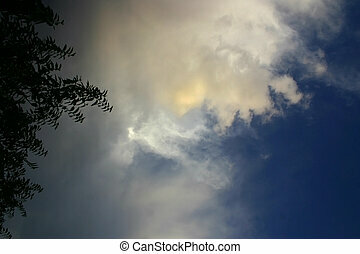 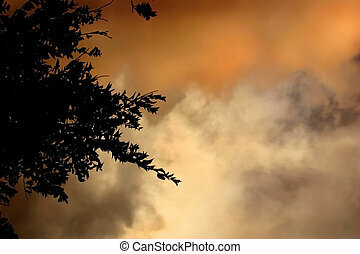 The sun setting on gathering storm clouds in the summertimes turns the whole sky shades of gold. 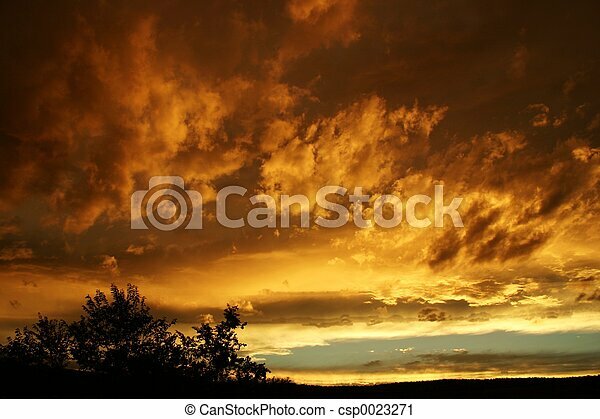 The sun setting on gathering storm clouds in the summertimes turns the whole sky shades of gold. 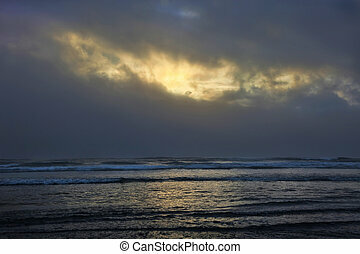 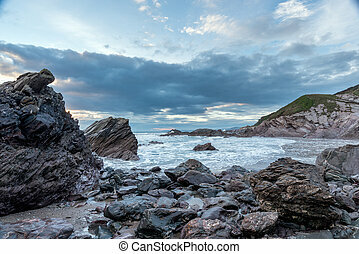 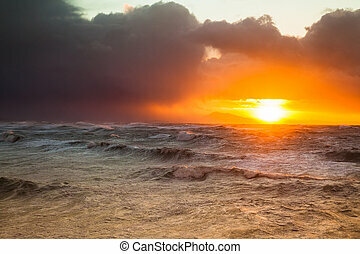 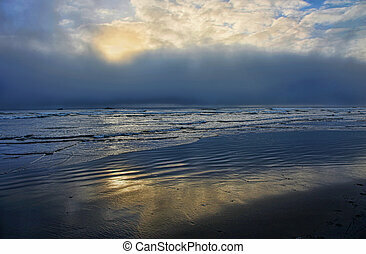 A stormy sunset at the ocean, 15 feet waves, mountains in the background. 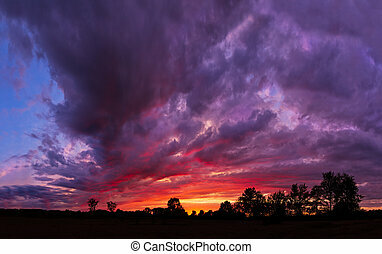 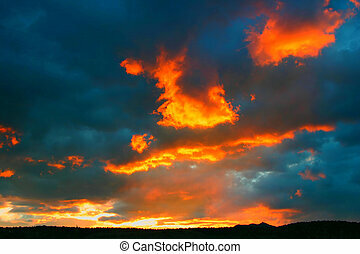 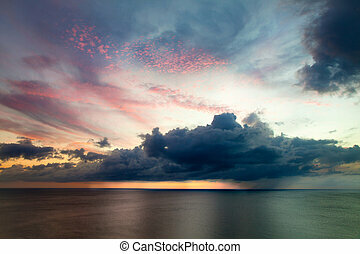 Dramatic and colorful stormy sunset. 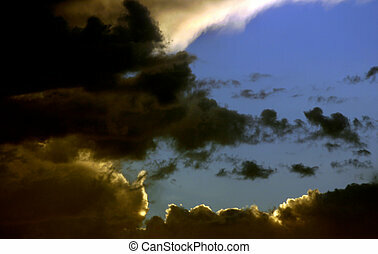 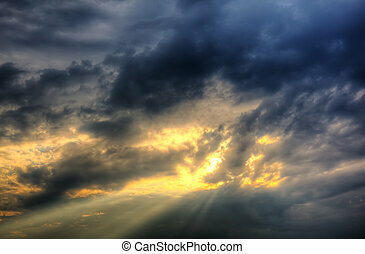 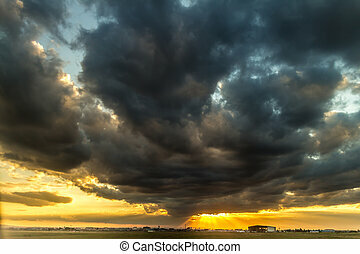 Dark clouds and yellow sunset at dusk. 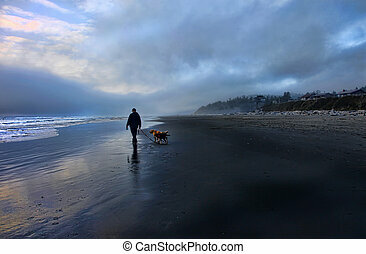 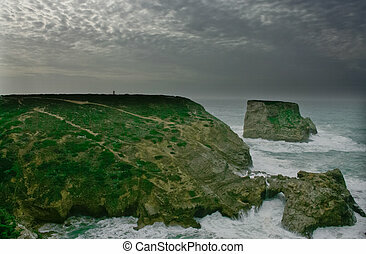 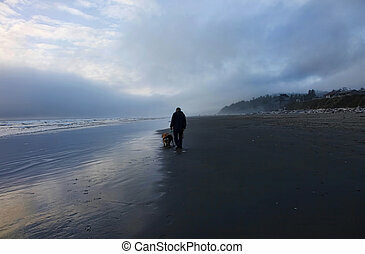 Man heads home after long walk with his dogs on a beautiful beach at sunset. 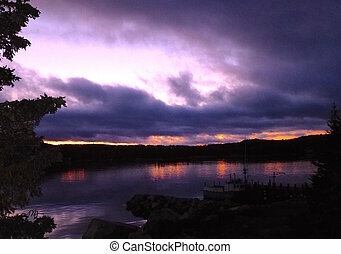 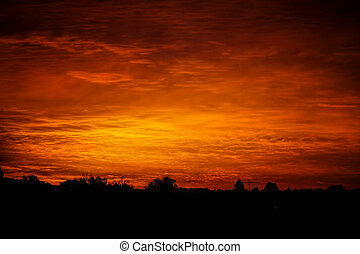 Red sky at morning, sailor take warning. 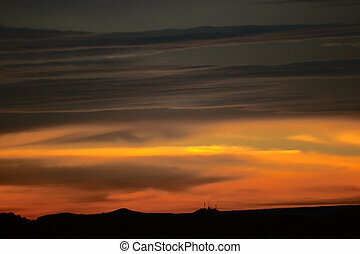 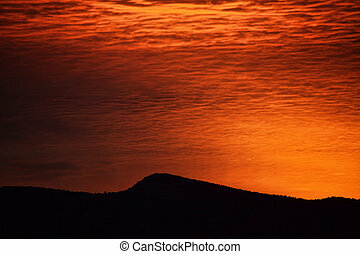 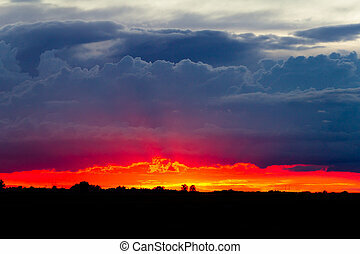 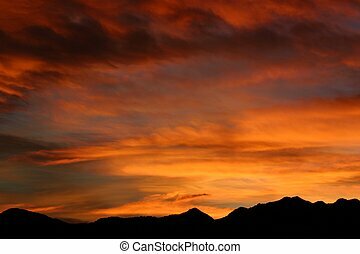 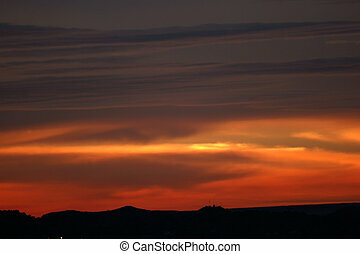 Red skies at dawn in Colorado are far from the seas, but do predict stormy weather on the way. 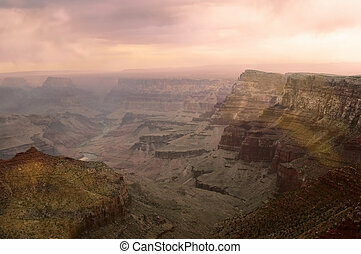 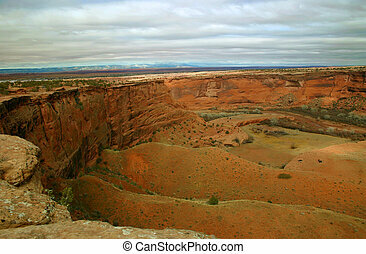 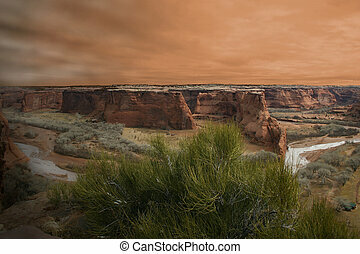 Canyon de Chelly, land sacred to the modern Navajo nation as it was to the ancient Anasazi, shown at sunset with a storm coming in. 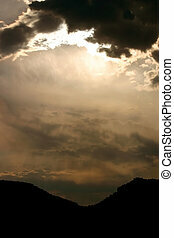 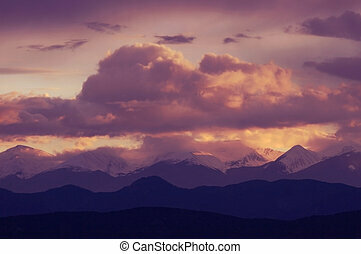 The sky over the Colorado Rockies foothills is brilliantly lit up just before a winter storm blows in. 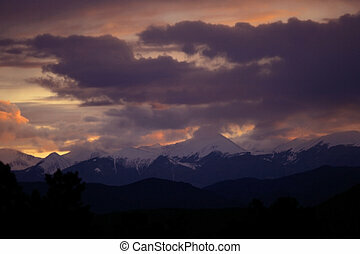 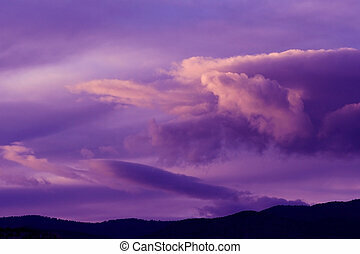 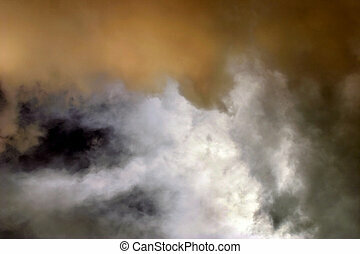 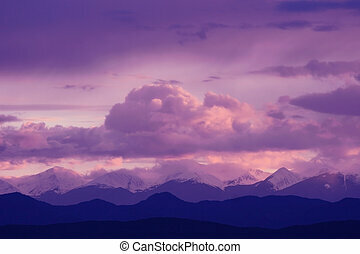 Purple and pink clouds swirl over the peaks during a stormy Rocky Mountain sunset. 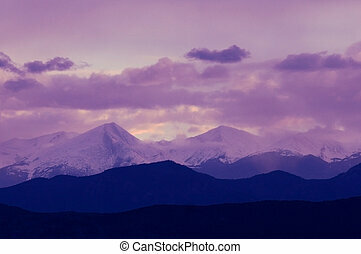 Purple mountains majesty. 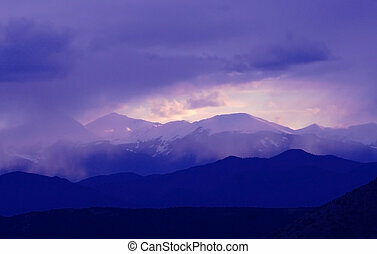 The Sangres at sunset after a late summer snowstorm. 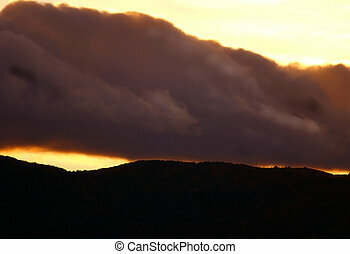 Clouds gathering over the mountains indicate unsettled weather ahead. 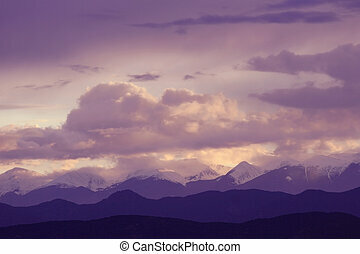 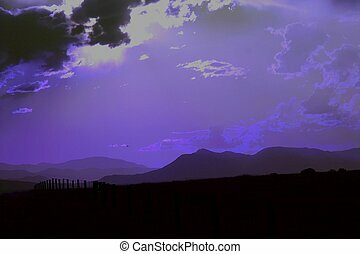 The setting sun\\\'s rays and a small bit of haze turn the gathering storm clouds pink and purple and cause the mountains to have a layered look.